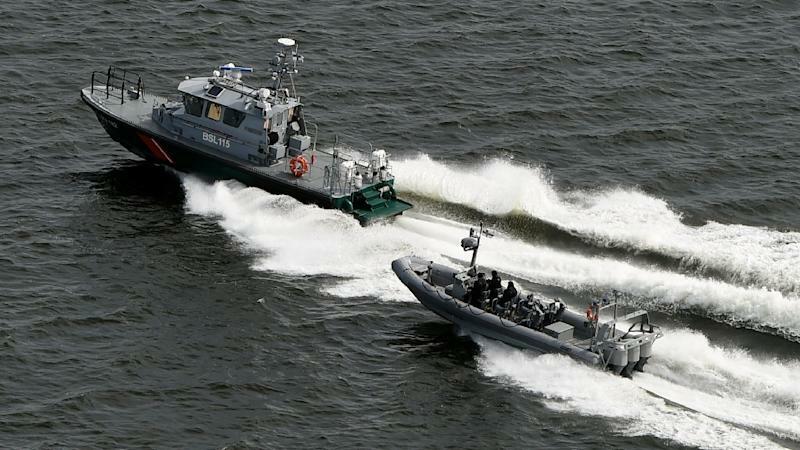 Helsinki (AFP) - Finland said Tuesday its navy had fired warning shots at a possible submarine off the coast of Helsinki in the early hours of the morning. "During surveillance of (Finland's) territorial integrity, the navy detected a possible underwater object at midday (0900 GMT) on April 27, 2015, within Finland's territorial waters close to the border outside Helsinki," the defence ministry said in a statement. A second sighting was made during the night and "a warning was given with light depth charges at three in the morning," the ministry added. No further sightings were reported after the warning shots and no details have been given of the type of object that was detected. Defence Minister Carl Haglund explained to daily Hufvudstadsbladet that the depth charges "make a loud noise but don't cause any direct damage." "With them, we can show that we've detected (some kind of) activity." "The navy is continuing its investigations now about what exactly happened," defence ministry spokesman Max Arhippainen told AFP. Meanwhile, the navy's chief of operations refused to confirm whether the detected object was a submarine. "At this stage it is impossible to say what this potential underwater object is," Captain Olavi Jantunen told reporters at a press conference. The material gathered by sensors "will be studied and analysed in detail. It will take days, even weeks probably," he added. However, he said the navy had "a very accurate picture of what was happening at sea." The navy was tight-lipped about the size of the object, the location where it was detected and the depth. It said however that it had concluded its patrols in the area and was now monitoring the situation from land. The incident comes during an uptick in Russian military activity in the Baltic Sea area, including several airspace violations and war planes allegedly flying without their identifying transponders. This has prompted non-aligned Finland to announce closer military cooperation with its Nordic neighbours -- including NATO members Norway and Denmark. Finland shares a 1,340-kilometre (830-mile) border with Russia, and has aimed to maintain good relations with its powerful neighbour since the end of World War II. In October, Sweden's armed forces hunted unsuccessfully for a week for what they believed to be a foreign submarine in waters close to the capital Stockholm, after several observations were made. Political observers noted that the suspected submarine incursions in Sweden and Finland both occurred shortly after the election of new governments in the two non-NATO countries, and could possibly be interpreted as warnings to the new administrations to steer clear of NATO cooperation. Sweden elected a new government in September, while Finland voted for a change of government earlier this month.